Many fine photography books have come out of the Vietnam War. Some, like Larry Burrows’, are breathtaking achievements that meld art, science, and a profound depiction of war. Others—often just as compelling—bring together images by multiple photographers. Marc Waszkiewicz’ 1000 Yard Stare: A Marine’s Eye View of the Vietnam War (Stackpole Books, 328 pp., $39.95, hardcover and Kindle) is neither of these, although at first that’s not apparent. 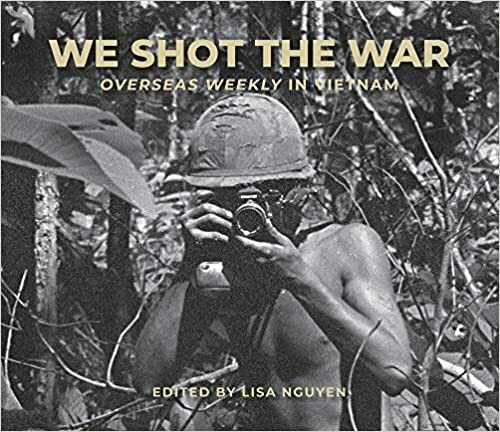 With the help of by Lea Jones and Crista Dougherty, Waszkiewicz—who served three Vietnam War tours as an artillery forward observer—has produced instead a fine photo album chock full of compelling images. As in all photo albums, the most recurring subject is its author. That’s not a bad thing. What we get are photos Waszkiewicz took and some his buddies took. Between them all, Waszkiewicz does a very good job of presenting a visual record of his tour in Vietnam—and afterward. With insatiable curiosity he records the countryside, the villagers, the combatants, the prisoners, and the weaponry. But more importantly, he also records his life and the lives of the young Marines with whom he served. Sometimes they were frightened, sometimes grieved, and sometimes they were just goofy. Waszkiewicz captures something that most Vietnam War photo books miss: the spunky resilience of the young American men who served there; their inability to consider themselves victims; and their indefatigable insistence on making the best of bad situations. There’s not a bad joke left untold, not a single joint left unsmoked. He and his fellow troops worked hard and played hard. If you had to be in hell, you should do your best to dupe the devil. And if you had to be in Vietnam during the war, Marc Waszkiewicz was a good guy to have around. The last part of the book record trips he made with other veterans to the Vietnam Veterans Memorial and to Vietnam. As the chapter title suggests, these trips are about trying to find peace. 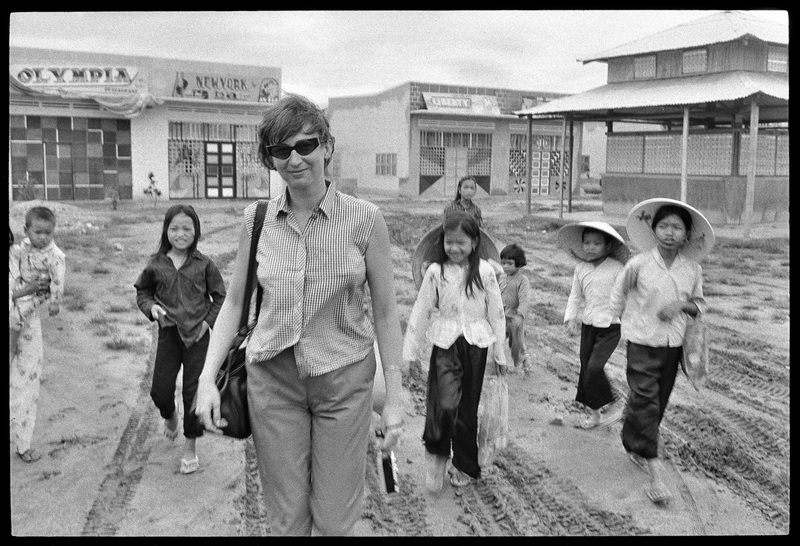 These later images lack the sharp, compelling edge of the Vietnam War photos, but they’re quite nice. “Mortars, Heavy Equipment, and Books” could easily be added to the subtitle of Snakes, Rain and the Tet Offensive: War Stories With Photos by William Ingalls (War of Words, 271 pp., $90), a remarkable recollection of the author’s 1967-68 Vietnam War tour of duty. Ingalls’ first day with the 362nd Combat Engineers was also the first time he had done “more than turn the key in a road grader,” he writes. “Each day was a learning process.” The unit spent five months in the shadow of Nui Ba Den (Black Virgin Mountain), expanding Tay Ninh Base: building roads, helipads, bunkers, and hootches. The Viet Cong were entrenched on the mountain so mortar and rocket attacks were a constant threat. Ingalls freely expressed his antiwar opinions, but he also was dedicated to his work and took pride in the well-built culverts and base construction projects he worked on. When he was selected as his company’s Soldier of the Month, the officers and NCOs asked for his opinions on the war. “Just following orders didn’t work for the Germans and Japanese,” Ingalls replied, “so why should it work for me?” The Soldier of the Month award was withdrawn. Ingalls made good use of his downtime, shooting some three hundred slides of daily life on the base, including photos of the showers, mess halls, hootches, and bunkers and the occasional makeshift brothel or store. He read Hemingway, Kafka, T S. Eliot, e e cummings, Rod McKuen, and others in his grader cab during work breaks. He credits his first wife Faith for sending his “Communist East German EXA-1″ camera to him in Vietnam, enabling him to produce a photographic record that Ingalls likens to Mathew Brady’s work in the American Civil War.His wife saved all the slides in a shoe box. The quality of the images ranges from hastily shot photos to carefully captured ones, such as nighttime explosions and tracer trails. Bill Ingalls’ MOS was 62E-20 (Road Grader Operator). With this work, he has added Photojournalist to his resume. Contrasts of War: Vietnam War Images from U.S. Army Medic Bob “Doc” Shirley (Red1Publishing, 100 pp., $29, paper) is a conjurer’s trick, in the best sense. By juxtaposing fragments of poems by veteran Michael Monfrooe and refugee Chay Douangphouxay with the simple, elegiac photographs of Bob Shirley, the book attempts to transport the reader to war-torn Vietnam—its beauty, its starkness, its horror, its humidity. It’s a story of men and children. Women, too, are portrayed, but not as often as helicopters. Nor were they as important. There are mothers and old women, and there’s a marvelous image of a barely dressed performer at a remote base gyrating on a makeshift stage as the men stand in rapt attention. But the focus immediately returns to the young American soldiers and the even younger local urchins attracted to them. As a medic, Shirley had greater access than most. His photographs are straightforward and unadorned. They show soldiers at rest and during combat. His images of helicopters in defoliated forests are stark. His men are tense, even at rest. His children are inscrutable, serious far beyond their years—even when smiling. Brothers borne in the womb of war. Shirley’s are not great photographs, but they are clean and honest. Nor are the poetic fragments of Douangphouxay and Monfrooe great poetry. But magic sparks from the juxtaposition and the conversation that’s generated between words and images. Larry Johns is the impresario who pulled it all together. In trying to make sense of his older brother Jeffrey’s death in Vietnam in 1969, he visited the country several times and even built a memorial there to his brother. Working with these three artists, Johns’ skillfully woven collection of poems and photographs stimulate the subconscious into a greater understanding of the past.